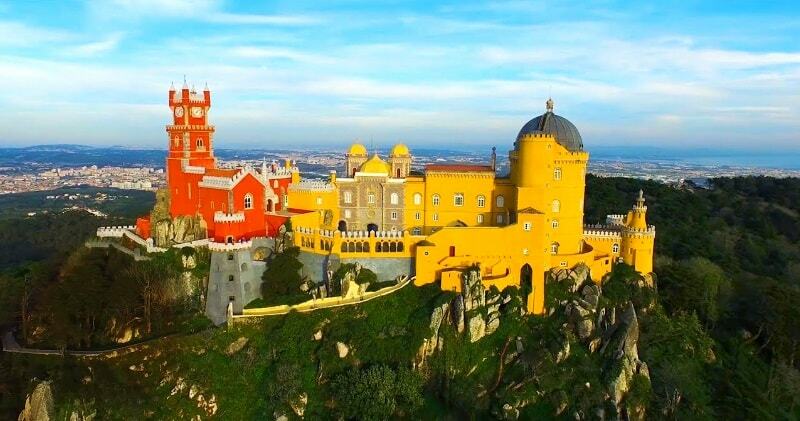 Perched atop Portugal’s Sintra Mountains sits Pena National Palace, an eclectic attraction built in the late 18th century. 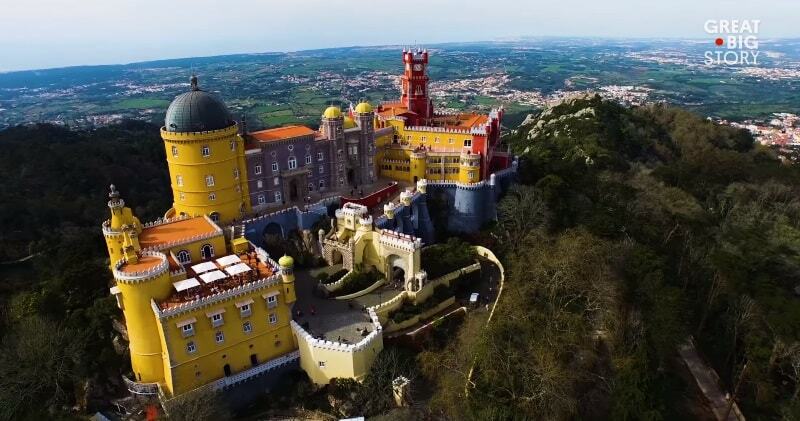 The castle’s vibrant colors and unusual architecture were the brainchild of King Ferdinand II, who built the palace to serve as a summer home for the Portuguese royal family. Today, it holds the distinction of being a UNESCO World Heritage Site, attracting visitors from around the world.The palace was built in such a way as to be visible from any point in the park. Which consists of a forest and luxuriant gardens with over five hundred different species of trees originating from the four corners of the earth.The interior of the palace is equally as fascinating, being restored to reflect the decor of 1910, when the Portuguese nobility fled to Brazil to escape the revolution. The forested park lands that surround the palace continue the Romanticism design ideals of the palace, with hidden pathways, ornate features and stunning view points. Built by German architect Baron Wilhelm Ludwig von Schewge, the palace exhibits a blend of Neo-Gothic, Neo-Islamic, Neo-Renaissance and Neo-Manueline architectural styles.Despite the hodgepodge of revival styles, the palace looks surprisingly harmonious.The use of yellow, purple and pink pastel colors completes the fairy-tale character of the palace.